Robert C. Legg was born to Byron and Dora Legg on a farm near Windfall, Indiana on July 12, 1929. He passed peacefully into the arms of the Lord on June 26, 2018. He was preceded in death by his parents along with his brothers Byron, Sidney, Wilbur, Edgar and James. He is survived by his wife Shirley, his sister Ruth, his sons John (wife Jennifer) and Stewart (wife Michele) and grandchildren Lindley, Ben, Rachel, Robbie, Zach and Lauren. 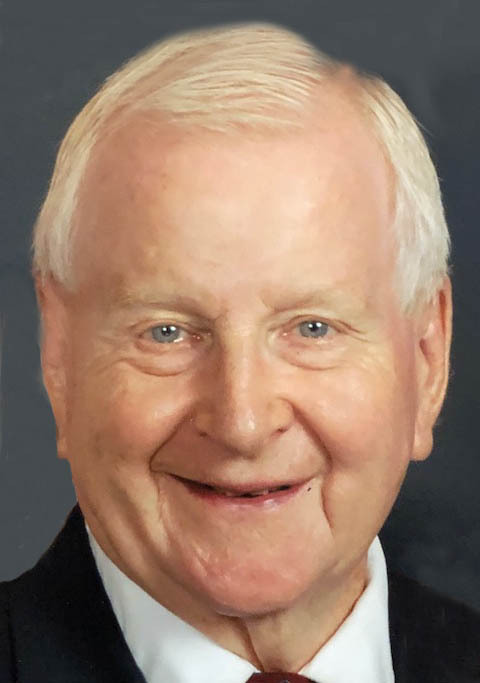 Bob graduated from Purdue University with a degree in horticulture and served in the US Army during the Korean War prior to moving to Kansas City in 1954. He married his true love, Shirley, on April 15, 1961. He began his career as a florist at Liesveld's on the Plaza where he worked for 20 years. He and Shirley opened their own store, Legg Florist, in May of 1976 which thrived on Bob's dedication to honesty, fairness and hard work. Bob and Shirley retired in 1996 and turned their time and energy to serving at the Shepherd's Center where Bob drove for the Wheels That Care program for the next 20 years. He was an active member of Hyde Park Christian Church and Country Club Christian Church. He was notoriously good-natured and continued to make friends and brighten people's days throughout his life. His kind and generous spirit will be greatly missed. Private services. The family suggests contributions to Salvation Army or Doctors Without Borders. Memorial contributions are suggested to Salvation Army or Doctors Without Borders.